afety glasses are an important part of any potentially dangerous jobsite. When there’s sawdust, or sparks flying, the possibility of falling objects, or corrosive splashing substances, you’ve got to have your eyes covered. Of course, one of the biggest worksite safety hazards is the sun. It’s great for warming you up and illuminating the work but between blinding rays, reflections, and glare coming off everything in sight, it can be difficult to ensure a careful and clear-sighted work process. It’s no wonder so many professionals have invested in safety sunglasses. For decades the most common solution has been to simply have more than one pair of glasses and switch between them based on your circumstances. Just as people have driving glasses, computer glasses, reading glasses, and everyday glasses, the safety glasses you wear are yet another special requirement for those who need prescription lenses. The need for shaded and non-shaded safety glasses only makes this necessity even more of a hassle. Not only do you have to continuously switch back and forth when your work conditions change from indoor or shadowed to outside in the sun, you also will have a harder time seeing things that lie in shadow when you’re on the job. Unfortunately for standards shades-wearers, a sunny workside simply is not uniformly lit, creating yet another safety problem. The problem doubles for everyone who needs prescription vision correction, as every pair of safety glasses must be ordered with special prescription lenses and in this case, it requires two separate pairs of safety glasses that must bet switched between. Fortunately, recent innovations in lens coatings have come up with an interesting solution, allowing a single pair of lenses to be used in both conditions. But what’s even better is that this improved solution also creates middle-state shading for those sunny-but-not-blazing scenarios and working in both sunshine and shadows. Transition lenses have existed since their invention in the 60s but they didn’t start to become popular until the late 90s. Lenses are treated with a special photochromatic or ‘light-color’ coating that responds to light by darkening the particles that make up the coating. This simple innovation introduced something incredibly helpful to the glasses wearing community. Finally, there is a way to have your prescription glasses and prescription sunglasses as the same item. However, these aren’t just useful for normal everyday glasses. Professionals who work in hazardous environments inside and outdoors, during the day and at night, have a great deal to gain from the photochromatic transition coating on their prescription safety glasses as well. This will allow you to invest in a single pair of prescription safety glasses that can follow you from the workshop to the jobsite and back again without a switch-out, meaning you will no longer have to carry an extra case or ever be at risk of having the wrong pair at the wrong time. With transition lenses, you can wear just the one pair of safety glasses to work and keep your non-safety glasses tucked safely in your things at your desk, car, or toolbox. However, the drive to improve on a good idea has been one of the central principles of the optical industry. 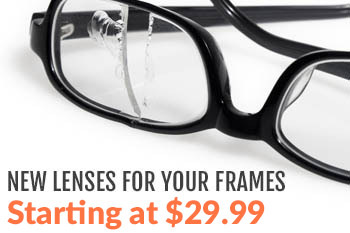 The transition lens coating formulas, for instance, continue to grow more advanced. Researchers have been working on ways to make them darken further in very bright light, respond more quickly to light changes, and perform more efficiently at extreme temperatures which is something previous transition formulas have been lacking in. This experimentation has led to several variations on new and improved transition lenses so now professionals can have a choice between a selection of transition features based on what serves their individual needs. ntage Transition lens. This unique coating formula is specifically designed to fight glare in worksite and road conditions making them particularly valuable for almost any profession that requires safety glasses. Designed for enhanced safety, the Vantage line blocks 100% of UVA and UVB rays and even blocks blue light in all conditions. However, what’s really special about Vantage lenses is that they feature variable polarization to fight a variable amount of glare. This way, you never have to worry about the problems with wearing polarized glasses indoors or skipping the polarization when you really need it to combat glare outdoors. Vantage lenses will adjust both the polarization and the gray tint as you move from light level to light level. This unique feature assumes, often rightly, that the brighter the light is around you, the brigher the reflections and glare will be. Transition Vantage lenses are incredibly useful in a variety of circumstances, but most of all for people who move in and out of the sun all the time. Landscaping, construction, road crews, cable repair services, and many more industries can benefit from the automatic convenience of quick-responsive transition lenses with adaptive polarization to give you just the right amount of glare protection. Several variations of transition lenses are good for blocking glare when they’re activated outdoors but vantage lenses offer blue light and UV protection at all times, even when you’re inside. What so useful about this? While the sun may be stuck outside, offices tend to be full of harmful blue light that creates a subtle amount of vision-distorting glare and can accelerate age-related macular degeneration in your retinas. When wearing Vantage lenses, you can be sure that your eyes will be protected from blue light both inside and outside. Among the primary reasons to invest in transition Vantage lenses is the opportunity to have completely clear vision outdoors. It’s surprising to realize but many people don’t really know what it’s like to see perfectly outside. Either the sun is out and creating glare on everything even the least bit reflective or it’s too dark to see. With adaptive darkening and polarizing lenses, your glasses will finally be able to keep up with the outdoor light level. If you’re working in the sunset, for instance, they will stay only partly shaded for the most part unless you look toward the sun itself or a particularly bright patch of glare, at which point they will darken and polarize to protect your eyes immediately. Whereas in ful daylight, your Vantage lenses may remain almost completely darkened and polarized unless you move into a shaded area, then they’ll clear to help you see better in the darker environment. Of course, there’s no denying the one leg-up on the competition that Vantage lenses have against all other types of transition lenses. Only Vantage has adaptive polarization allowing the lenses to change the amount of glare protection based on the actual amount of glare to protect you from. No unnecessary polarization inside and all you need when you step into the bright sunlight for an outdoor job. 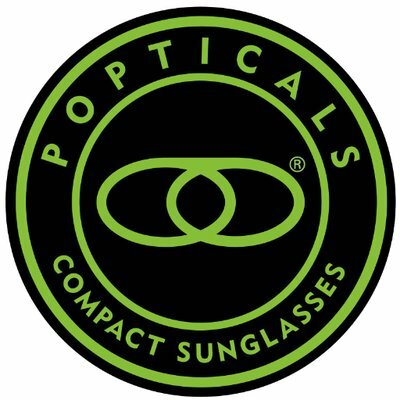 In fact the variable polarization protection is so useful, especially combined with standard wrap-around or side-protected safety glasses, that you may even find yourself wearing them on the daily commute simply because they’re superior at blocking the usually blinding morning and afternoon road glare. Worksite safety is a vital part of almost any project and the visual clarity of everyone on the job matters. The last thing you want is an injury where the only feasible explanation is that the sun was in a worker’s eyes at the wrong moment, a classic “excuse” but a very real workside hazard. When everyone is wearing safety glasses with transition Vantage lenses, your team will have the maximum amount of visual protection from the sun possible with adaptive light and polarization, UV protection, and blue blocking all rolled into a single really useful pair of safety glasses. Whether you wear prescription glasses and special order every pair or you’re looking for a solution for your entire crew, Vantage transition lense coating is a fantastic solution for enhancing worksite safety for every indoor/outdoor professional. For more information about how to find the right Vantage Rx safety glasses for you and your team, contact us today!